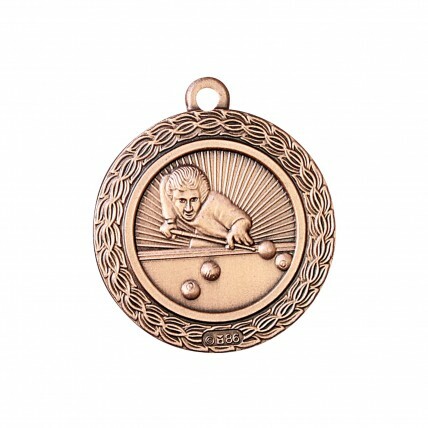 If you are looking to reward the top pool players at your next billiards championship this medallion is for you! The Small Premium Pocket Billiards Medallion is an antique gold color and measures 1.35" in diameter. The medal features a shooting pool player and a detailed border. 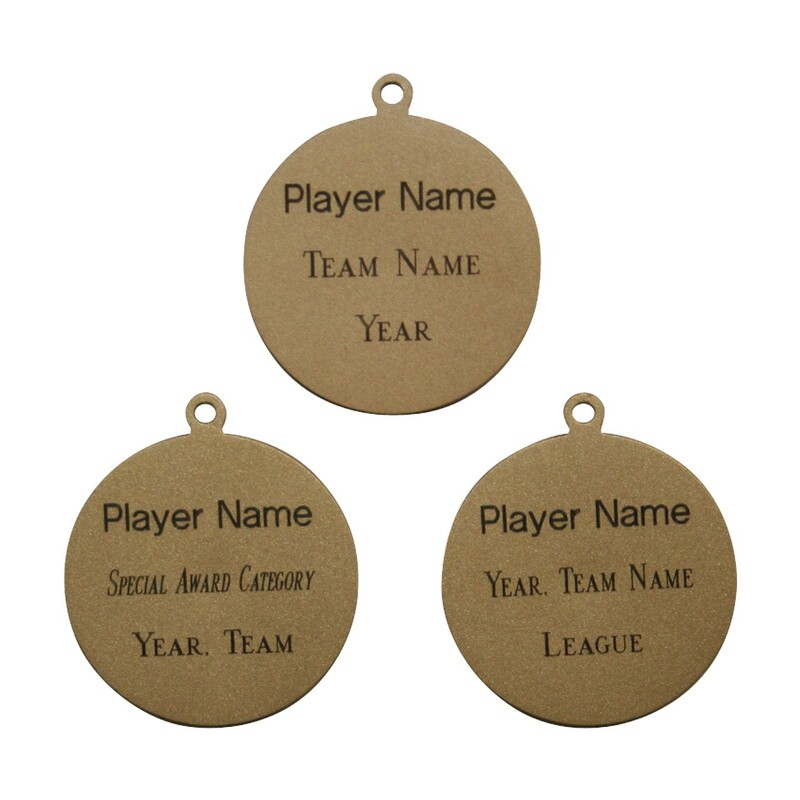 Your engraving will be etched on the back. Impress your sharp shooters with this awesome medal!